At the end of last year, we teamed up with Skift to publish our 10 Business Travel Trends For 2019 report, outlining the industry shifts and trends organizations need to know this year. As part of our ongoing series highlighting sections of the full report, which left off with our last post on how innovative tech is changing travel for SMEs, we now take a closer look at how more convenient, user-friendly tools are driving traveler adoption and loyalty. (Not so) Breaking news: today’s business travelers are busy and often stressed. Succeeding in their day-to-day jobs is already demanding enough, and the last thing they need is for complicated logistics of business travel to become another part-time job. Accordingly, there’s growing demand for business travel tools that link together the fragmented pieces of the corporate travel experience, including booking, trip management, customer service, and expensing, in one place. In fact, in a recent Association of Corporate Travel Executives survey, 72% of travel buyers indicated that simplification would be a strategic priority for the year ahead. For some of the world’s more cutting edge organizations, the technology that powers a seamless, simplified travel experience is already a reality. For example, solutions are now using machine learning and AI technology to reduce the time it takes to book each trip. Some can also recognize when a flight is delayed or cancelled to proactively offer up potential itinerary revisions and enable live-human interaction via 24/7 access to support through in-app chat, SMS, or phone. This ability to seamlessly switch between smart tech and a human touch with minimal effort is helping redefine the business travel experience, and according to executives that oversee corporate travel policy, this more fluid approach to business travel can’t come soon enough. This increased emphasis on a seamless end-to-end travel experience is showing up in other ways. In the past, the primary driver of loyalty in the business travel sector was via points earned for flights, hotels, or car rentals. While the perks and rewards that come with earning points are still important, the key focus of loyalty for today’s business travelers are the experiences that make trips more convenient and tailored to suit their preferences. This shift towards seamless, personalized business travel experiences as a key driver of loyalty shows up both in consumer research and in conversations with today’s business travelers. Winkleman’s approach is emblematic of his generation. 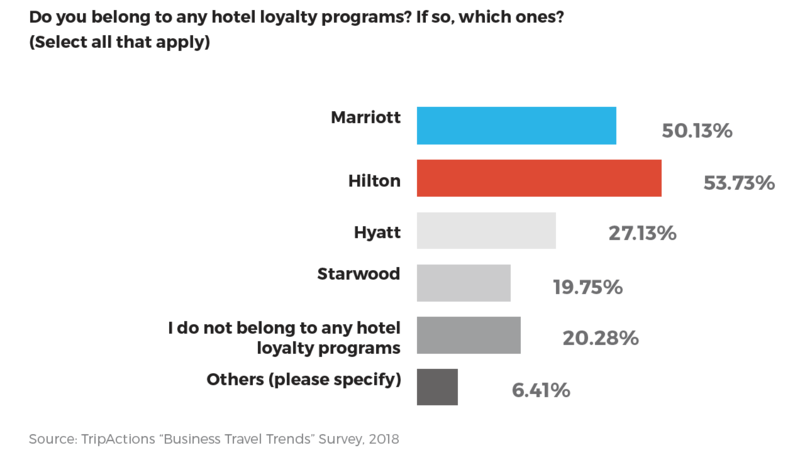 The TripActions 2018 State of Business Travel Report found that 21% of business travelers don’t belong to any hotel loyalty program, and are less interested in loyalty programs in general. Like Winkleman, who uses Uber “everywhere I go,” Millennials also prefer shared car services over taxis and shuttles for ground transportation. In that context, traveler loyalty to ridesharing is once again driven by ease of use, convenience, and independence. Make no mistake, though, traditional loyalty programs still offer binding ties. According to a recent GBTA survey nearly all travelers are also motivated by rewards points and perks when selecting a hotel, and 81% believe that being a loyalty member results in better service. 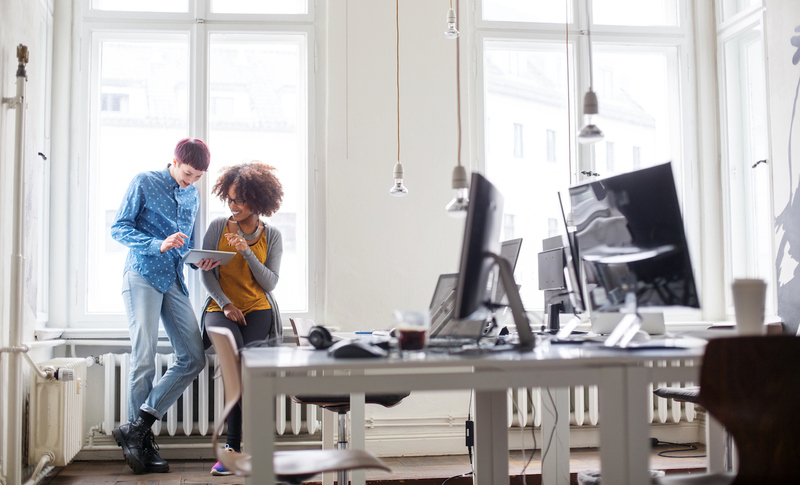 For companies with road warriors that hungrily chase hotel loyalty points — and rack up big bills in the process — some software solutions can incentivize decisions around spend. For example, TripActions offers access to exclusive deals and rewards for employees who book cost effective rooms. It is, however, personalization that is now the true differentiator for business travelers. For an ever deeper dive into how convenience is now moving the needle for business travel, along with other must-read trends, read our complete 2019 Trend Report.